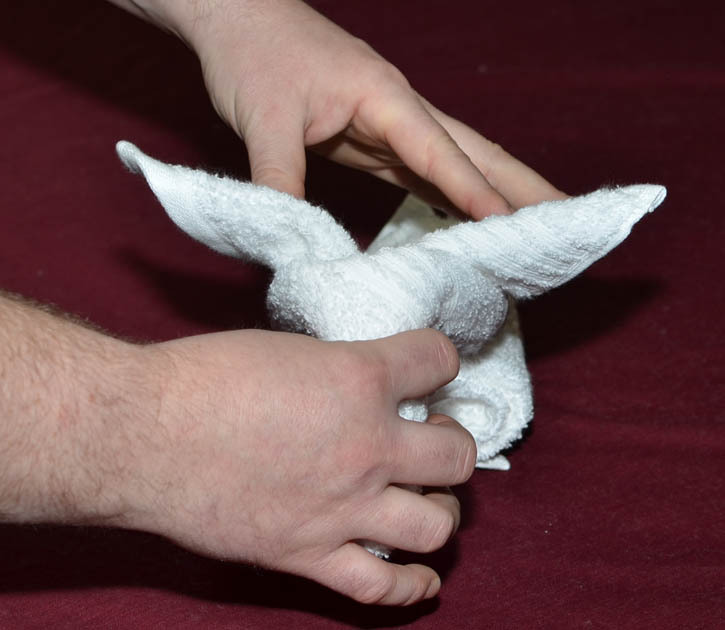 Step 6: Then simply add the head to the body and viola! 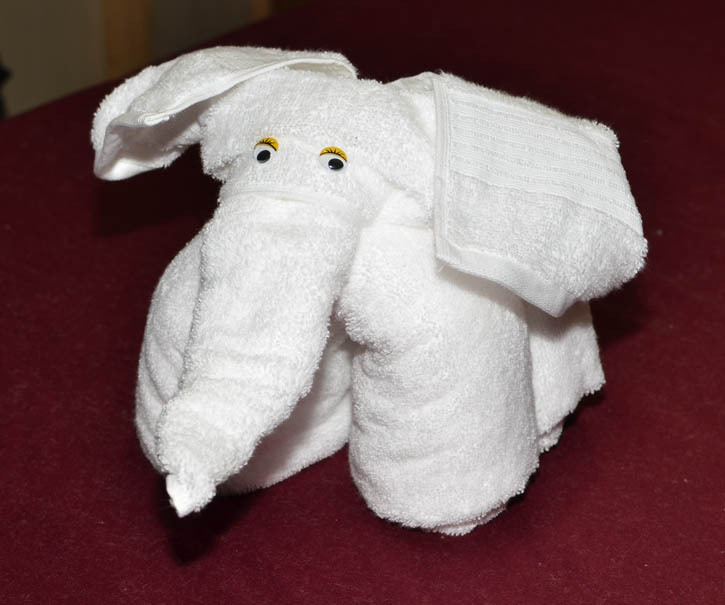 Add googly eyes for added affect. 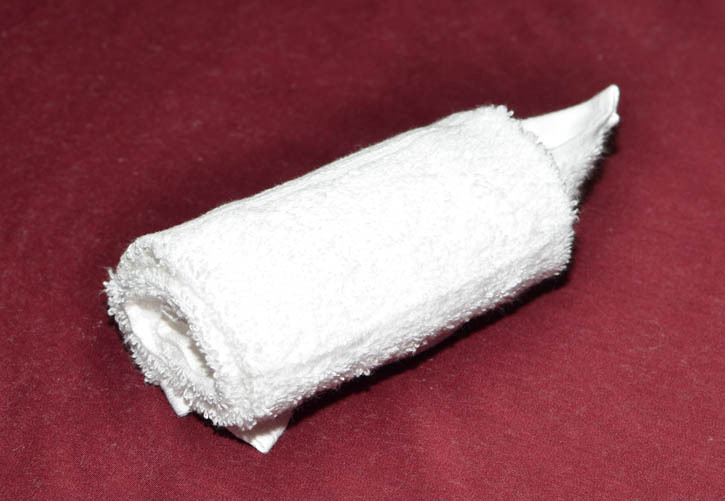 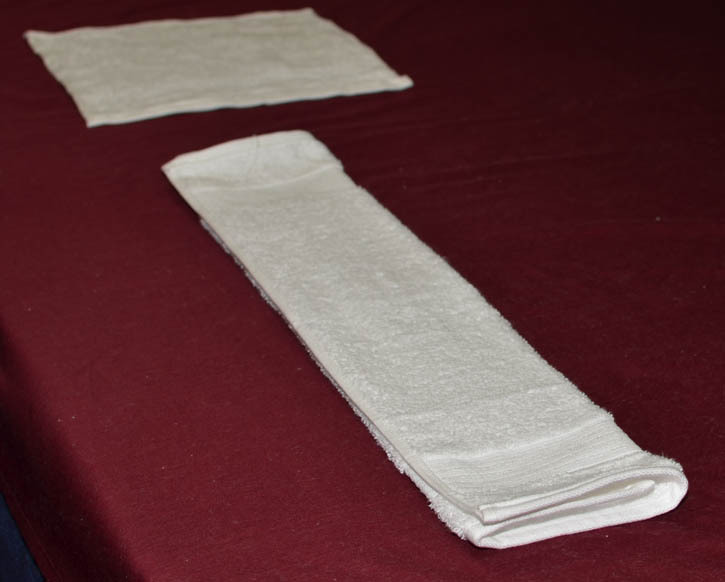 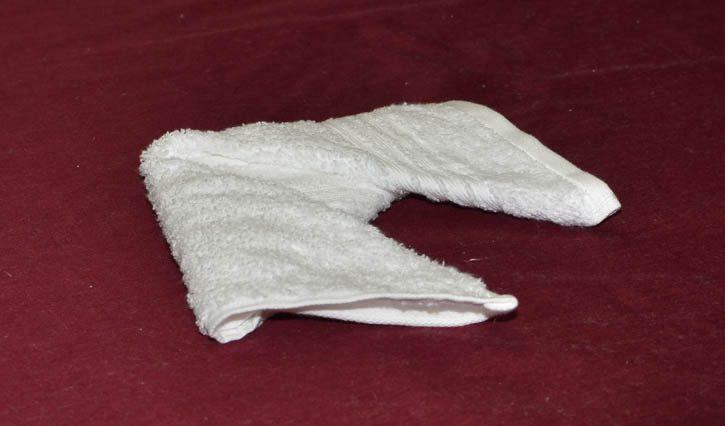 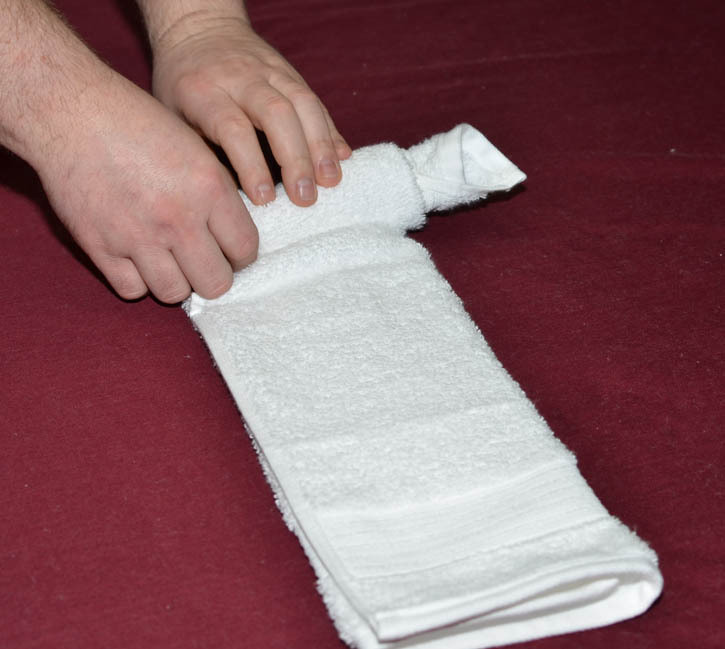 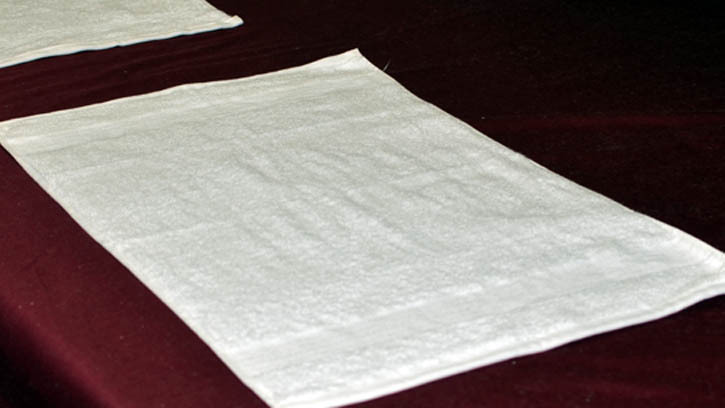 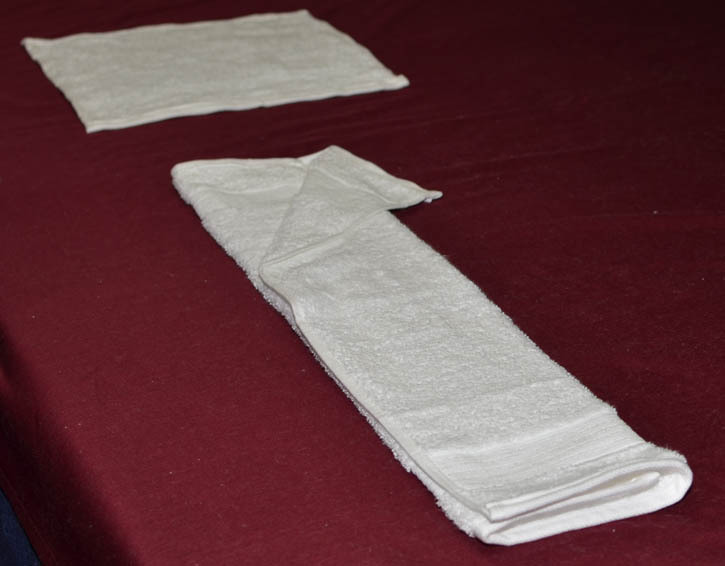 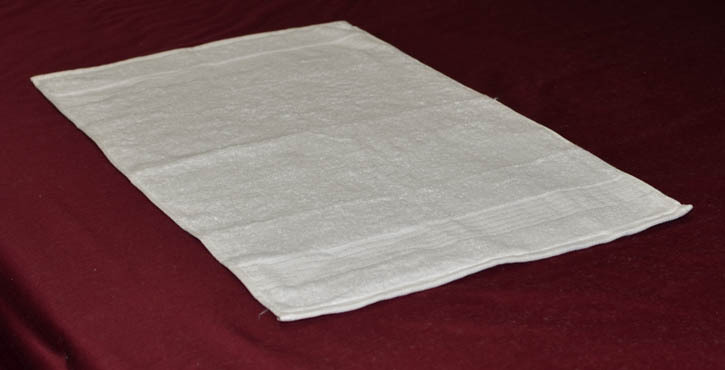 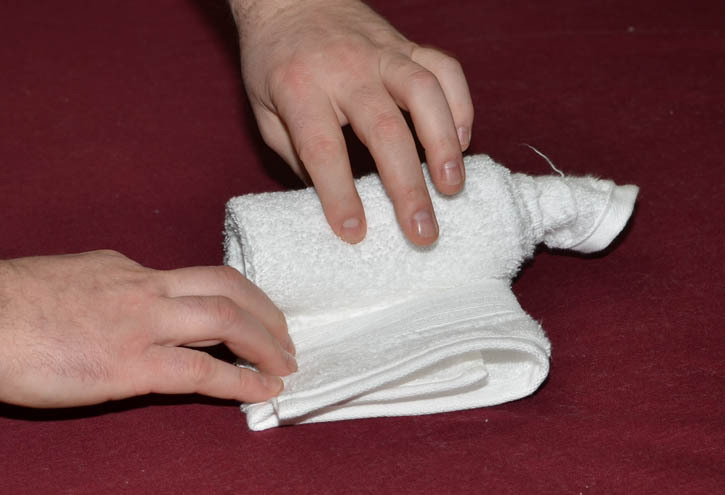 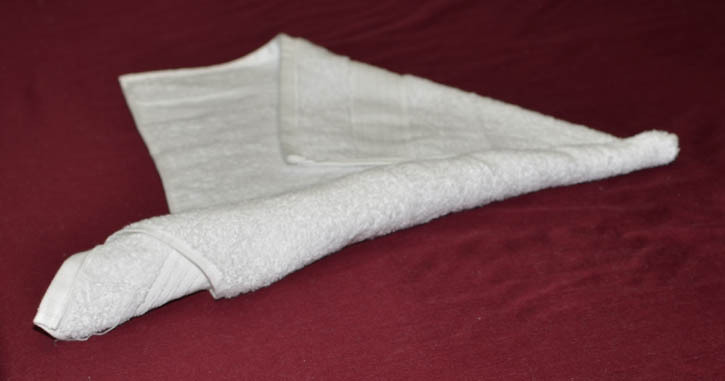 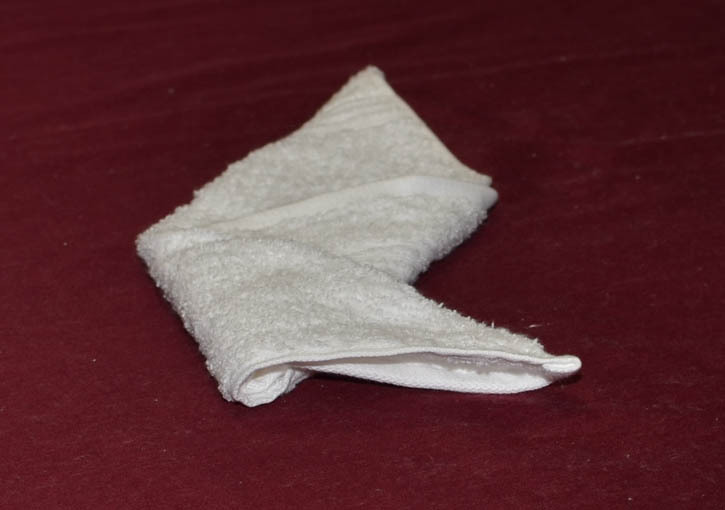 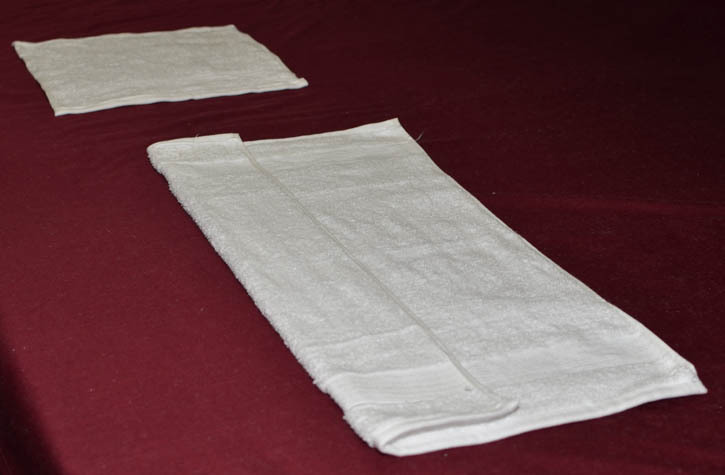 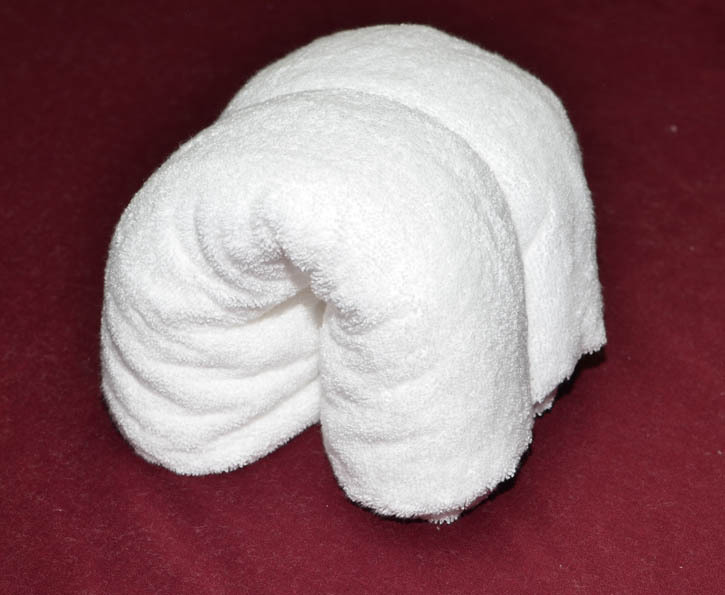 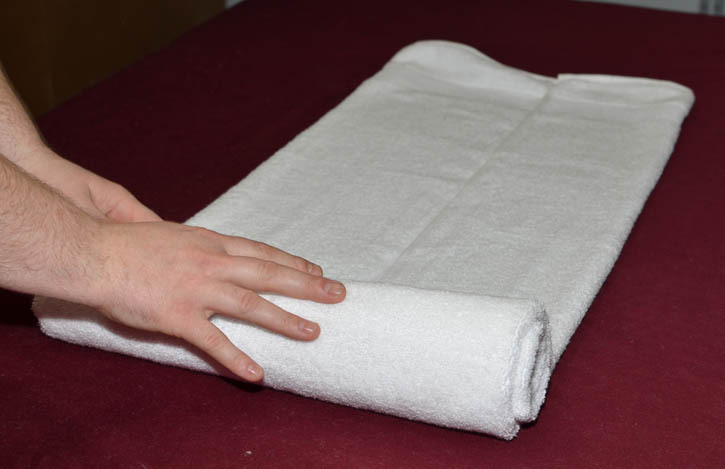 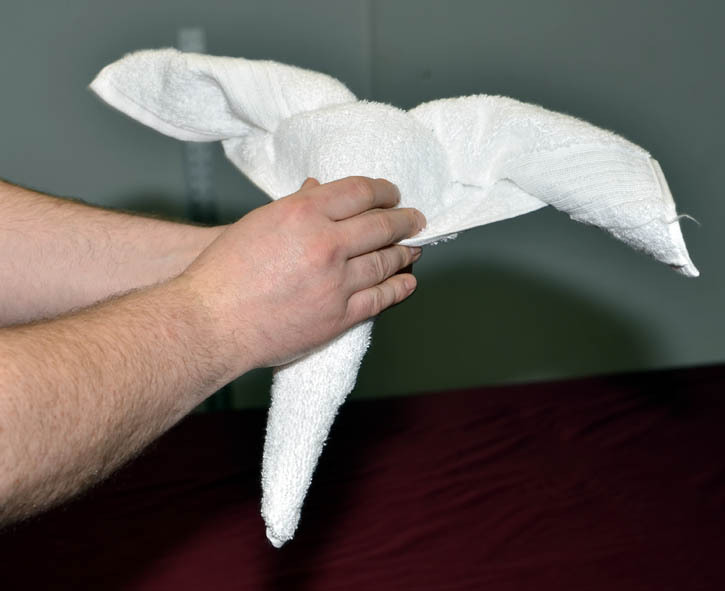 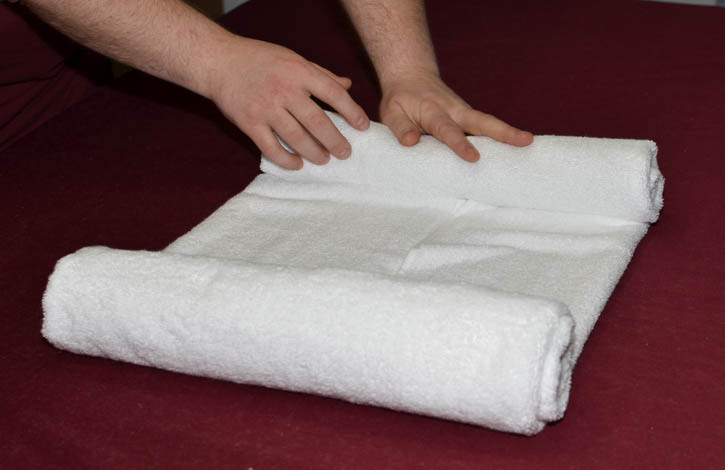 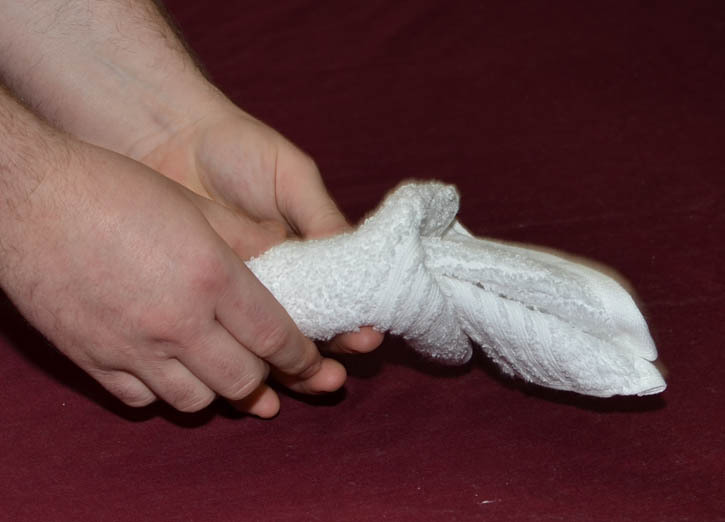 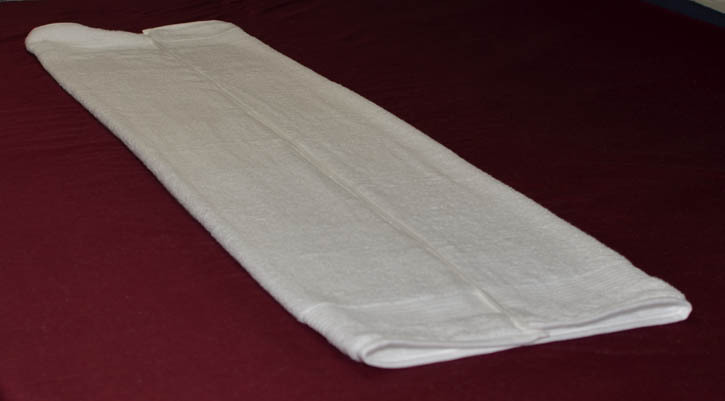 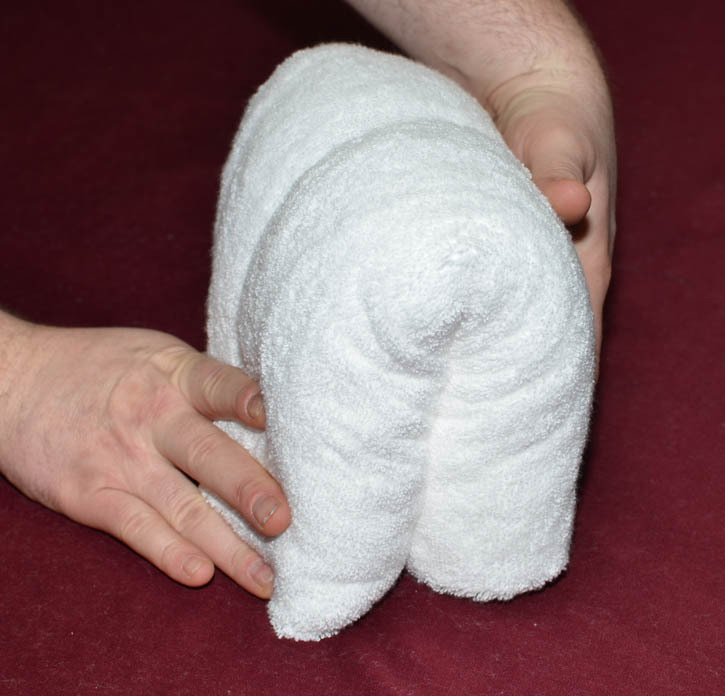 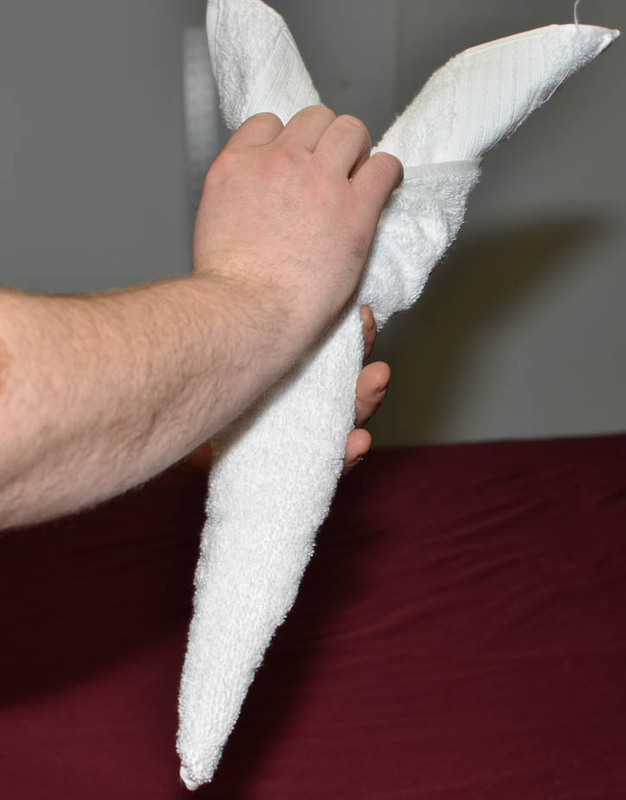 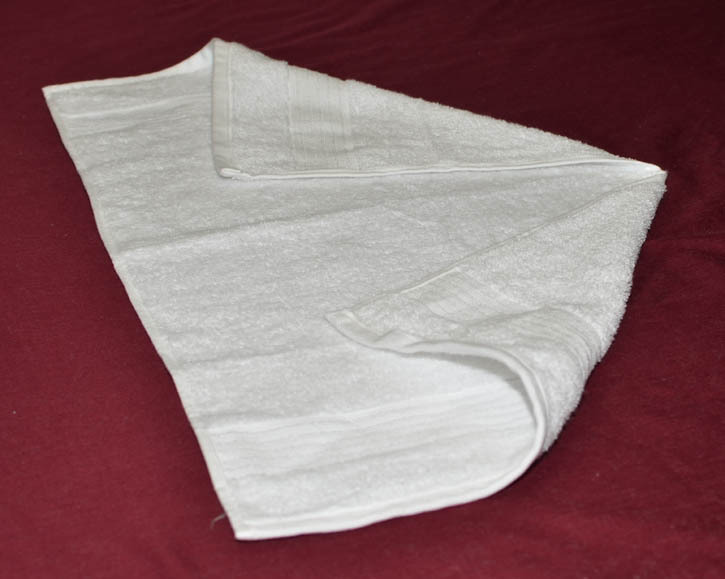 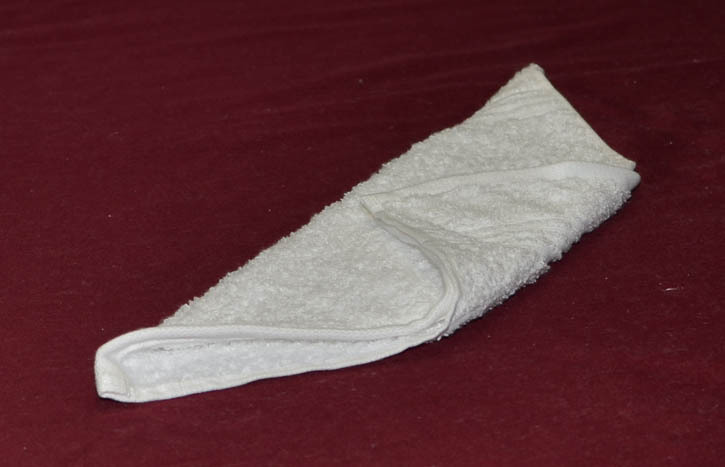 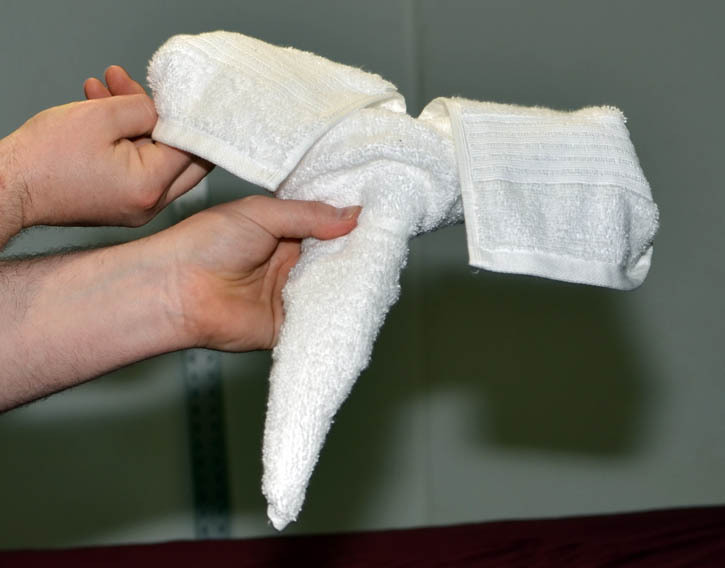 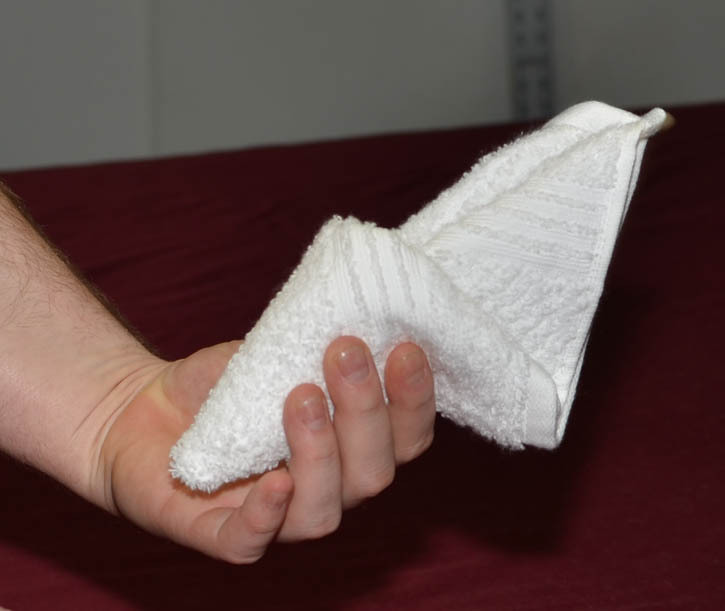 Step 2: Then roll the towel inward from the top sides to meet in the middle once again, then fold in half, stand upright, & push down to wide out slightly. 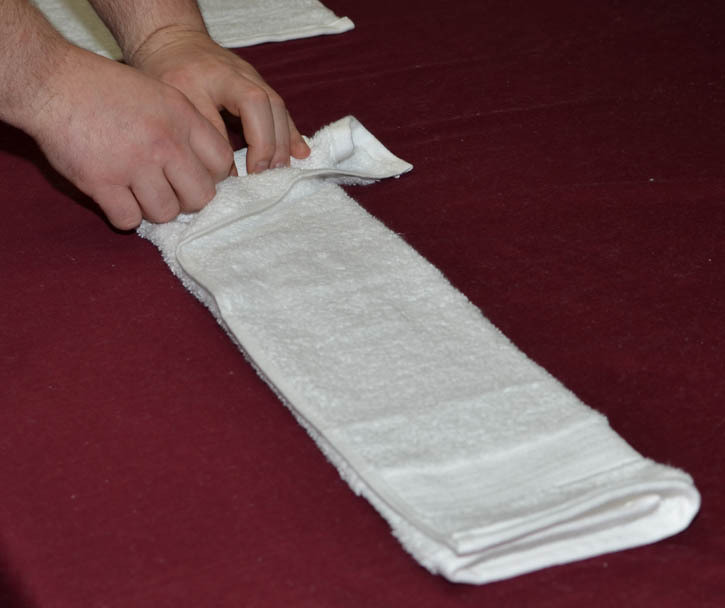 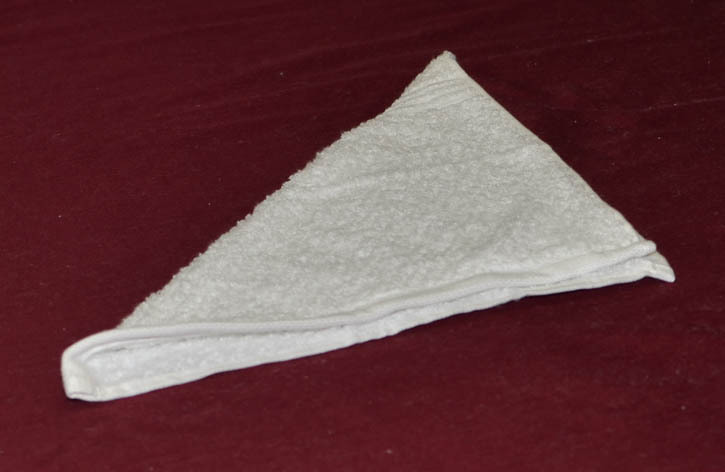 Step 3: Next to form the head layout the hand towel, fold the corners in to form a triangle as shown, & then roll the bottom corners from both ends to meet in the middle. 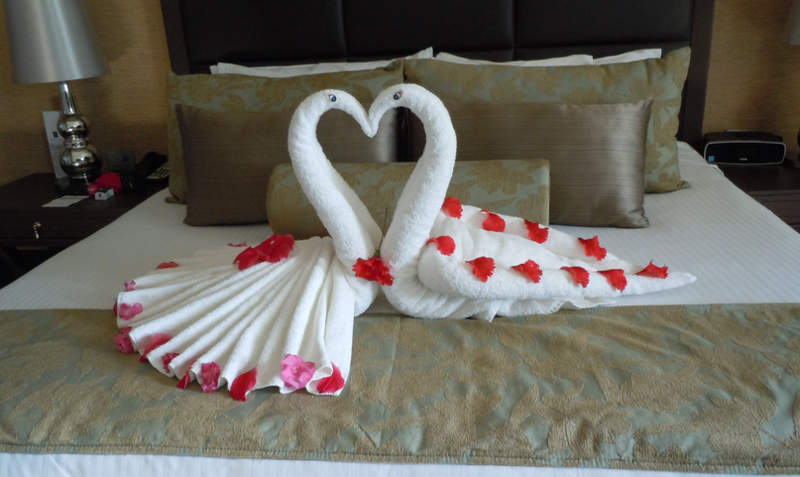 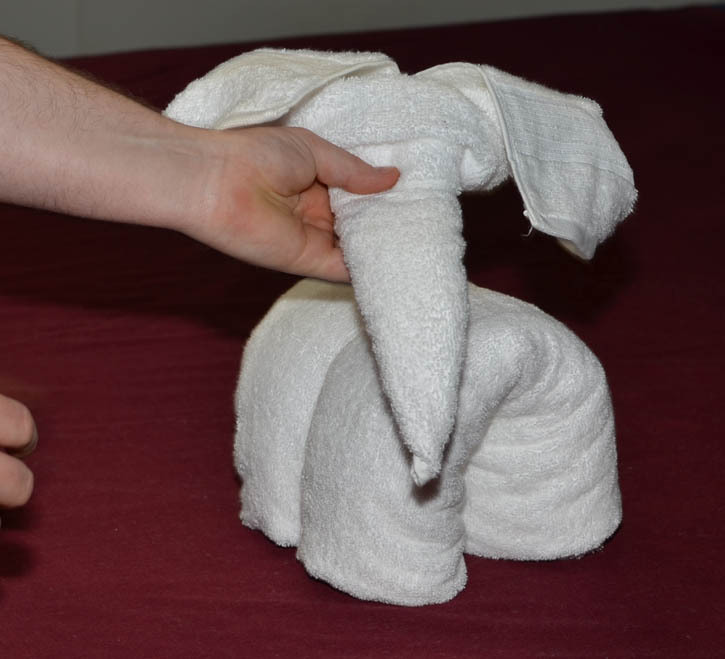 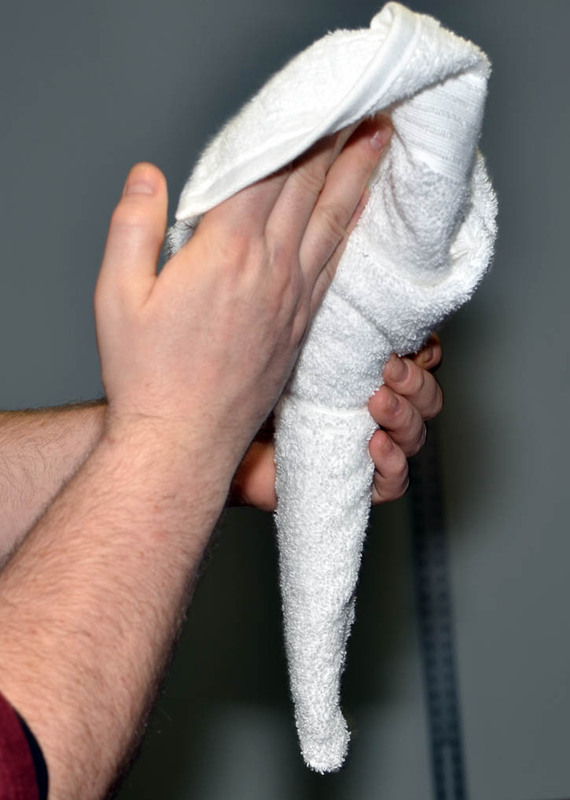 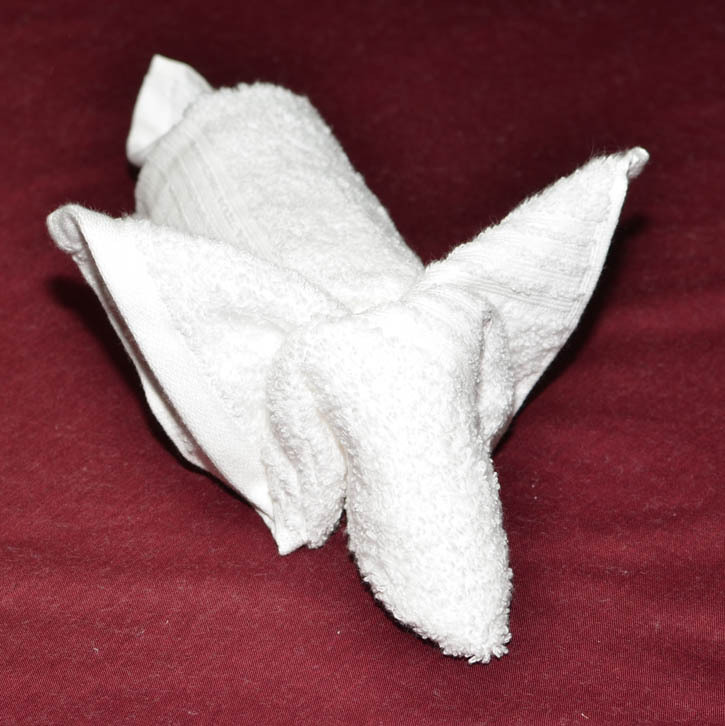 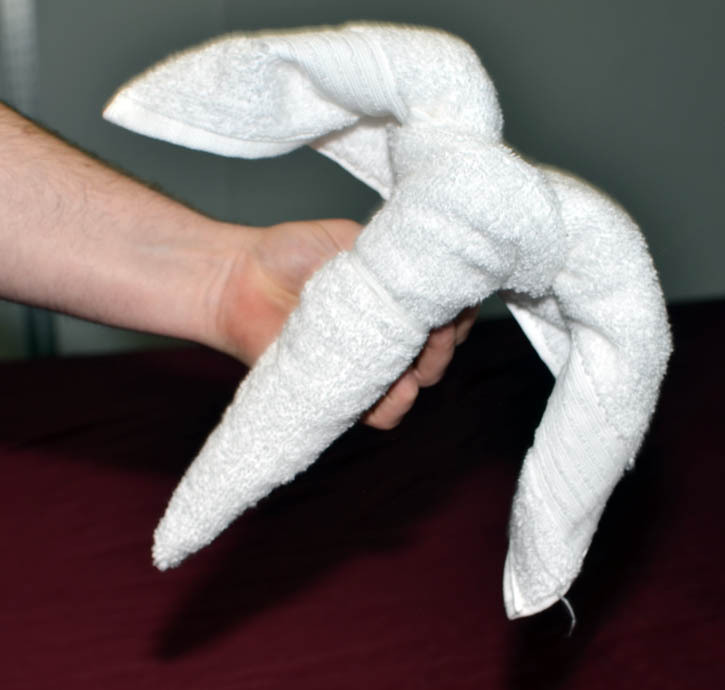 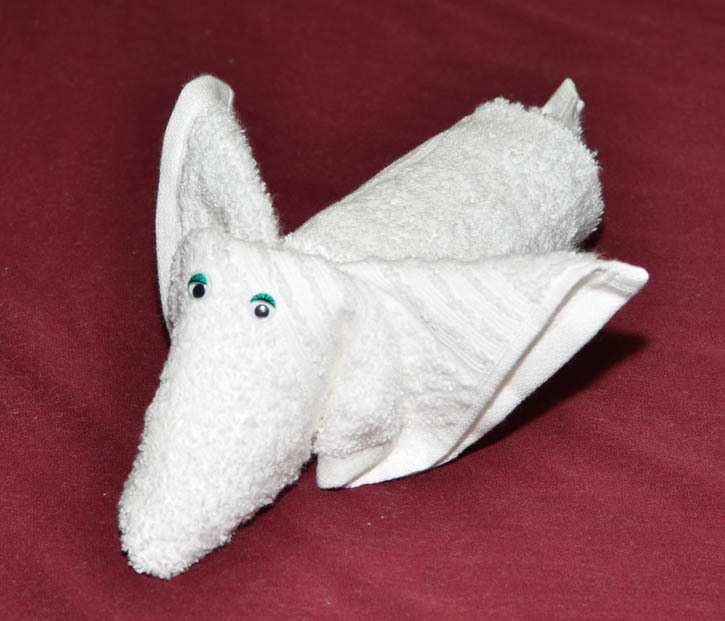 We hope you have fun with some of these animal towel creations!